Jon Sabes, CEO of YouSurance, Presented at Plug and Play Event about Insurtech and Health Data | GWG Holdings, Inc.
MINNEAPOLIS, Oct. 18, 2018 (GLOBE NEWSWIRE) -- YouSurance, an insurtech company working to apply epigenetic signatures to assess life insurance applicants’ health and lifespan, announced that its chief executive officer, Jon Sabes, presented at the event about health data and insurance sponsored by Plug and Play in Sunnyvale, CA on Thursday, Oct. 18. Sabes was part of a daylong program called “Insurtech: Life, Health and Group Benefits – Making Sense of Health Data” for the corporate partners of Plug and Play, an accelerator and venture fund based in Silicon Valley. 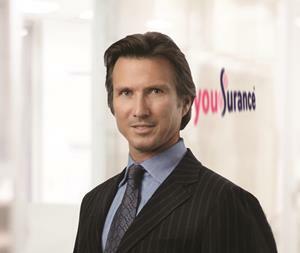 At YouSurance.com, consumers can purchase life insurance from a number of carriers. Consumers purchasing life insurance through YouSurance will receive a Longevity Report that provides an assessment of their epigenetic age, or biological age, which can differ from their chronological age. The technology behind YouSurance is based on epigenetics, which, unlike genetics, change over time and modify gene expression due to extrinsic factors such as age, behavior and environment. The company is the first to apply lifespan-predictive technology, exclusively licensed from the University of California, Los Angeles (UCLA), to the life insurance industry. YouSurance.com, an insurtech subsidiary of GWG Holdings, Inc. (Nasdaq:GWGH), is working to apply epigenetic signatures to assess a consumer’s health and predicted lifespan in order for healthy consumers to save on their life insurance. For more information about YouSurance, email info@yousurance.com or visit www.yousurance.com.